Experience unparalleled comfort in the great outdoors with London Rattan Outdoor Dining Sets, exclusively sold online at Mytopia. Fusing a space-saving design with contemporary European aesthetics, London Rattan Outdoor Dining Sets are a must-have for any balcony, patio or outdoor entertainment area. Available in 3-piece, 5-piece, 9-piece and 11-piece variants, hold an intimate dinner with your loved one or entertain a large group of friends and family with your London Rattan Dining Set. The UV-resistant and waterproof Suntech wicker frames and rust-proof powder-coated inner steel frames marry together to deliver ultimate durability and comfort. Enjoy no-fuss cleaning with water, oil and stain-resistant density cushions, machine-washable cushion covers and tempered glass tops. 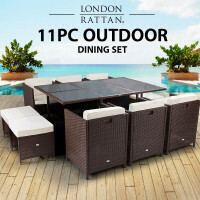 Make outside the focal point of entertainment with London Rattan Outdoor Dining Sets. For all other outdoor furnishing needs, check out Mytopia’s extensive line of dependable and affordable Gazebos, Outdoor Umbrellas, Outdoor Lounge Sets and Sun Lounges. Reliability assured, all London Rattan Outdoor Dining Sets are backed by an Australian standard warranty for private household use. 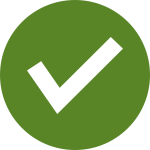 Guaranteed fast and easy delivery to all corners of Australia, whether you’re in Sydney, Melbourne, Perth, or the Outback, only from Mytopia.